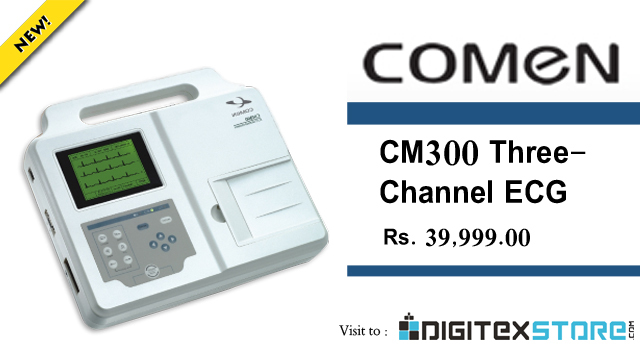 CM300 Three-Channel ECG, with standard LCD screen. Automatic measurement of ECG waveform and fully automatic waveform analysis report output. Huge electrocardiograms records system. Complete ECG information shown on the LCD screen. • High Resolution Thermal Printer, Synchronous Record Details of ECG Waveforms, name of leads, paper feed speeds gain, patients’ information, and analysis reports, etc.